The Flashing LED Sweetheart is an electronic kit that produces a romantic beating heart animation. 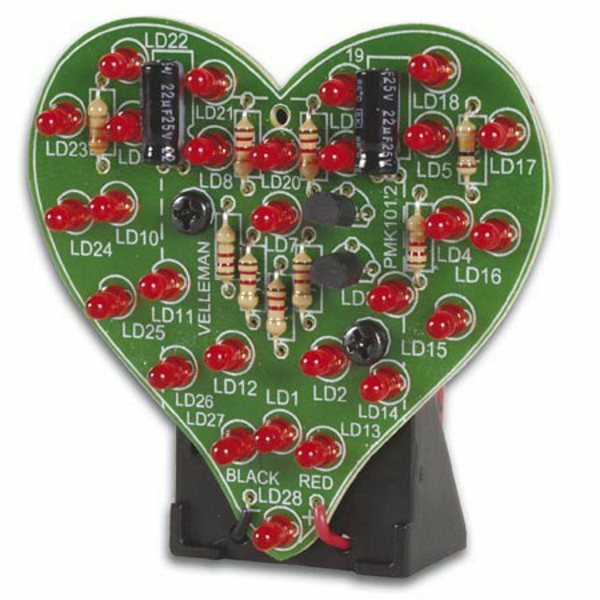 This beginner level soldering kit features 28 LEDs that form the shape of two hearts. The two hearts are arranged as an inner heart and an outer heart that blink in an alternating pattern to produce a beating heart effect. Makes a great Valentine's Day gift! This kit requires basic soldering skills. A 9V battery is required.